Yikes, What a Year 2009 Was! Wow, What a Year 2010 Will Be! Starting the new job at the JCRA was sure to be an adventure, but it has also been the best of old memories and the thrill of fresh experiences. I have mentioned in previous comments how much I have personally enjoyed the multitude of activities that parade through the JCRA calendar each month. The Friends of the Arboretum Lectures are certainly one of my favorite events. I learned so much during the FOA Lectures, about subjects like permeable pavement; B. W. Wells; conifers for small gardens; attracting wildlife to gardens; low-input lawns; Charles Darwin and his travels on the Beagle; Beverly Nichols's humor; woody lilies; and the Flora of China. Unfortunately, I missed a few like the ones on bonsai, deer resistant and drought hardy gardens, and Biltmore Estate. The good news, all FOA members can enjoy these lectures as video presentations on our Web site in the Members Only section. Another set of videos include many of the Plantsmen's Tours, which are an invaluable resource to learn more about plants in the JCRA collections. In 2009, there were so many great events and opportunities, including the News & Observer Birdhouse Competition, co-sponsored by the News & Observer; the Gala in the Garden; Pi Alpha Xi plant sale; and so many others. The calendar for 2010 is already filling in, so be sure to check out what's coming up! 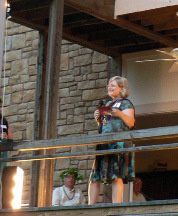 The 2009 Gala was very successful with approximately 500 in attendance. A very special thanks to our sponsors, auction donors, and guests who helped make the Gala a great success. Even during the down-turned economy, the Gala netted more than $60,000—much needed resources for the Arboretum's daily operations. Our nursery industry sponsors provided spectacular selections of outstanding plants and the non-botanical auction items included many unique offerings that intrigued silent auction bidders. Mark your social calendars for May 2, 2010, for the next annual Gala in the Garden! The national Garden Writers Association visited in September 2009 for dinner and a tour. It was a marvelous occasion that left this prestigious group with great memories of the JCRA. They were treated to mouth-watering Southern barbecue with all the "fixin's" and masterfully prepared ribs by Skip Warrick. We extend our sincere appreciation to the Green Industry Council, North Carolina Nursery and Landscape Association, and North Carolina Department of Agriculture and Consumer Services, who co-sponsored the dinner. Despite the rainy weather, the participants complimented the garden designs, appearance, and significance of our plant collections. The JCRA will continue to benefit from the many esteemed comments, articles, blogs, and so much more! We sincerely appreciate Pam Beck, Tony Avent, and all the others who had a part in bringing this influential group to our arboretum! In October, the first Green Industry Reunion was held with approximately 90 NCSU alums and green industry friends attending. The Master Plan committee provided an update of current and soon-to-be-initiated projects at the JCRA. The evening was filled with reminiscing over experiences of the Arboretum during its infancy and lively conversation about all the exciting changes and great expectations of the Master Plan. Nearly everyone in attendance had special memories to share. The evening was a personal highlight for me with my first graduate student Ross Williams, now the North Carolina Nursery and Landscape Association executive director, in attendance. Ken Tilt, Ph.D., professor at Auburn University and my first doctoral student and Michelle McGinnis, Ph.D., NCDA&CS Soil and Plant Laboratory, my last doctoral student, attended. So did Helen Kraus, Ph.D., NC State University; Al Cooke, Chatham County Extension horticultural agent; and Tiffany Wells, Adcock's Nursery, all former students. Several other alums that were in classes that I taught included Mitzi Hole and husband Mike Stallings, John Cooley, Mary Lorscheider, Marty Finkel, Bernadette Clark, Val Tyson, David Case, Catherine Maxwell, Shep Lassiter, Gary Whitehurst, Mark Clark, Matt and Debbie Clark, and Mark Peters. I also remember having Jeff Evans, one of our Master Plan committee members, in class years ago. I never had the opportunity to have Tony Avent, Doug Chapman, Mike Worthington, or Richard Olsen in class, but they were all in attendance, too. Tony Avent provided several entertaining stories about J. C. and early Arboretum days. A CD with over one hundred old pictures of students engaged in digging and planting projects at the Arboretum cycled as dinner was served, and everyone attending got a copy of the CD to take home. A good time was had by all, and plans are underway to have another reunion in 2011. Looking forward to 2010, there are exciting visions for implementing the Master Plan projects. The Japanese Garden renovation is underway and will be completed in spring 2010. It will feature new and beautiful stone walkways, boulders, gravel stream beds, and much more. Construction of the new shade house, designed by Frank Harmon, will begin this spring. A view from the Japanese Garden through the shade house will provide a view to the new Ellipse, where the Gala in the Garden and other outdoor events will take place in the future. The Bedding Plant Trials were moved to make space for the new Ellipse, and the new trial gardens were developed with in-ground irrigation installed by Horticultural Field Lab staff Bradley Holland and Tim Ketchie. The beautiful Zeon zoysia sod grass aisles were donated by Buy Sod and were installed by Barbara Fair's grounds maintenance class. The new trial gardens are just beyond the Nellie R. Stevens holly hedge in the 2.5-acre field, also home to the new Plantsmen's Woods. Planting in this new area began in fall 2009, with the ground maintenance class doing much of the work. Many of the plants are from the Lath House, since all of those plants will have to be removed before construction of the new structure. All the work on the new Bedding Plant Trials happened very quickly, allowing winter color trials to be planted in late October 2009. Summer bedding plant trials will be planted in late April 2010, and are sure to be spectacular. None of these exciting projects and events would be possible without our generous donors and awesome volunteers, who are dedicated to making the JC Raulston Arboretum an even more unique, impressive, and special garden destination. We thank each and every one of you for your continued support of our very continually changing and growing Arboretum. Wow! I am excited about all that has happened and that will happen at the JCRA in 2010. Don't miss a chance to come see great works in progress! Lush, temperate rainforests; beautiful black sand beaches; mile-high mountains plunging directly into the sea; alpine meadows; glacier-covered mountains; dry deserts; waterfalls; active volcanoes; tropical gardens—these are just a few of the wonders that make New Zealand such a special place. New Zealand is about as far from North Carolina as it is possible to be on this planet, and being in the southern hemisphere, it has the advantage of having opposite seasons to ours here. It is truly wonderful to escape the heat and humidity here in August and head to New Zealand for their early springtime! The country is made up primarily of two large islands, North Island and South Island. North Island is the result of volcanic activity and has a chain of tall volcanic mountains that jut up along the central spine of the island, some of which are still active and do erupt from time to time. South Island was formed by plate tectonics that created a very large mountain range along the west coast. These mountains are high enough to block nearly all the rain that comes in off the Tasman Sea and creates very arid deserts on the inland side of the island. With the varied elevations and extreme rainfall amounts, the flora in New Zealand is as diverse as you will find most anywhere. When arriving in Auckland, the capital of New Zealand, the first things that get my attention are the large cabbage trees (Cordyline australis) and large tree ferns (Dicksonia and Cyathea species) growing alongside the road. The road leading south along the west coast offers stunning views of the Tasman Sea and beautiful, rugged mountains covered in tree ferns and Nikau palm trees (Rhopalostylis sapida). The west coast receives the higher amounts of rain on North Island. With beautiful, rich volcanic soil, high rainfall, and temperate climate, the gardens along the central and southern west coast are truly amazing. The gardens near the town of New Plymouth are probably the lushest you will find any place and contain a stunning diversity of plants. With some areas receiving 100" of rain, intense sunshine (New Zealand is under the hole in the ozone layer), and nearly no frost (also a summer high temperature of approximately 70°F), nearly any plant you can imagine will grow well. It was amazing to me the first time that I saw blue spruce (Picea pungens), larch (Larix), bananas (Musa), date palm (Pheonix), and various members of Proteaceae planted together in the same garden, I knew this was a special place, indeed! It is amazing to see northern temperate trees happily growing with Philodendron vines covering them! The plant combinations found here year-round are impossible in the United States. Continuing south and crossing over to South Island brings a totally new view of New Zealand. Nearly the entire population of the country lives in Auckland with a few small, scattered towns across North Island, and South Island has nearly no population at all. The absence of towns, or even houses, leaves vast expanses of spectacular scenery to be enjoyed. A huge mountain range, the Southern Alps, follows the west coast; due to its extreme height, forces nearly all of the rain that comes in off the Tasman Sea to fall on the southwest coast. This extremely wet area is the wettest inhabited place on Earth, with about 400" of rain annually! This high rainfall creates a lush, dripping, temperate rainforest dominated by southern beach (Nothofagus) and many species of tree ferns. The trees are totally covered in dense mats of mosses and ferns and with the foggy conditions, produce an unearthly beauty like nothing I've ever seen before. Crossing the Southern Alps finds you in a very dry, high desert. Something that fascinated me was the sense that these high deserts looked very much like the high deserts in Oregon and Utah. The desert floor seemed to be covered with junipers, yuccas, and sage brush (Artemisia) that I'm so accustomed to seeing in high deserts in the United States. On closer inspection, I quickly realized these plants were Podocarpus, Aciphylla aurea, and Hebe species. It is very interesting that similar environments produce plants with similar physical characteristics, yet they belong to totally unrelated plant families. To truly begin to describe this amazing country is impossible to do with words or even photographs. It is a place that must be experienced in person to even begin to understand its phenomenal beauty! For those of you who would like to see New Zealand first hand, Barry Yinger (Asiatic Nursery) and I formed a horticultural tour company called PlantTrek (http://www.planttrek.com) that offers domestic and international tours. 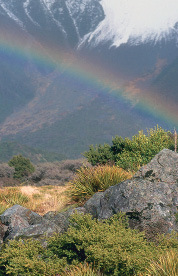 I'm putting together a tour to New Zealand in August 2010, and I would love to have you join me! Barry is working on a tour to Thailand and Laos in November 2010, and together, we are offering a domestic tour to visit private gardens and nurseries (where you can purchase plants) to the Mid-Atlantic States in early June 2010. For details, please feel free to contact me at pat_mccracken@bellsouth.net. Hope to see you soon! Vancouver is rightly known as one of the gardening capitals of the world. From roses to rock gardens and everything in between, Vancouver is a gardener's paradise. Join us on a tour of some of the truly fabulous gardens of North America, including the phenomenal Asian collections of the University of British Columbia Botanical Garden and the world famous display garden of Butchart Gardens. We'll also visit some less well-known but equally impressive gardens and nurseries. While we will spend much of our time in botanical Nirvana, we won't neglect some of the other things to do such as visiting the breathtakingly beautiful Garibaldi Provincial Park, the quaint Whistler ski town, and take an exciting whale watching jaunt. Join us for what promises to be the trip of a lifetime. For complete details as they develop, please visit the JCRA Web site or contact Chris Glenn at chris_glenn@ncsu.edu or (919) 513-7005. I wake up this morning, after the meager 3.5 hrs of sleep I managed after David finally arrived, to heavy rain as Typhoon Parma makes its presence felt here with outlying rain bands. The Central Weather Bureau says all should be clear by Wednesday. I let David sleep off his ordeal and head to breakfast. I had forgotten the joys of a Taiwanese hotel breakfast. Watery rice gruel, bologna/ham with chunks of meat(?) throughout, and salad with Thousand Island dressing. I am perfectly happy eating fried weasels, cow stomach, fish eyeballs, and Guinea pig if I am visiting the country where that is the traditional meal, but the breakfast in Taiwan hotels never fails to slightly unsettle me with its casual badness. On a bright note, the little doughy balls filled with mystery sausage or bean paste are usually very good. Our car arrives and, with relatively little trouble, we make our way up Yangmingshan to Mt. Datun, one of the only peaks above 3,000' in the north part of Taiwan. The higher we go, the harder the wind blows and harder it rains. We reach our collecting spot and I lend David a poncho which shreds in minutes. The overstory is Trochodendron aralioides and Persea or a related Lauraceae. We see some Neolitsea and almost immediately bunches of the Daphne that we thought might be an Edgeworthia last year. Seed set is not what I had hoped it would be here. Lots of great plants, though. An Osmanthus catches my eye and as I go to grab it I notice a brilliant green snake wrapped around it. As we get more excited about the plants, the rain and wind recede into the background. Our car trade-in went smoothly, David's gear issues sorted out, and even a call saying his luggage was found. Things look like they are turning our way. Ha! We don't get out of Taipei until dusk in a pouring rain. We are both running on very little sleep and as we turn off the main road onto the smaller cross island highway, the road becomes very scary in places. Fresh mudslides cover half the road in spots while waterfalls cascade off the cliffs, covering the road all too often. Flooded spots scare me the worst, with the fear of the car dying and stranding us. As a testament to the rigors of 30 hours of travel, David nods off for several extended periods. Not me, I'm locked in a death grip with my steering wheel. At least the wind from this morning has died down. We reach the gate for Taipingshan in relatively good time, before 8:00 PM. The gates are closed and locked, so we walk up to the guard house situated on a hill above the gates. We are told Taipingshan is closed due to the typhoon until the 8th. I'm too tired to consider driving back, so we settle in for an uncomfortable night in the car. By 12:30 I can't take it anymore and we decide to try to drive back. We head down in the still driving rain and progress doesn't look too bad. We get to the intersection with the cross island highway and find a van waiting there. The driver tells us the road is closed in the direction we want to go; the other direction may be open, but the drive is "…very, very crazy." The road he speaks of was the worst area last year and includes the section that drove through the now swollen riverbed. We decide to wait until morning, which leaves us here unable to communicate with anyone, no cell service and no clear idea of where we will head when the daylight comes. Traveling in a foreign country with no guides, sketchy maps, and absolutely no idea how to speak the language beyond hello, thank you, and beer can be daunting at best. When you throw in a typhoon, all bets are off. In October of 2009, I made my second trip to Taiwan and, despite some of the challenges (to put it mildly), was able to make some valuable collections and observations. One of the prime groups that had fascinated me in Taiwan since my first visit was the palmate leafed (lobed and compound) members of the Araliaceae. These outstanding plants provide a touch of the tropical feel to temperate landscapes. Few of these plants are grown widely except the more tropical species, and several are virtually absent from western horticulture. It was my goal to observe these plants in their native habitat and collect some for growing and evaluation at the Arboretum. Relatively early during my three-week trek, I found one of the plants that was high on my list of must-haves. Sinopanax formosanus is a tough shrub found growing at high elevations, generally above 7,000', in sunny to partly shaded dry spots often on the loose soil of old landslides. The matte olive to bluish-green foliage emerges covered in rusty brown hairs, especially on the bottoms of the sycamore-shaped leaves. In 2008, I found this plant to be very rare and I was not able to bring it home successfully. This year, I found young plants to be more plentiful, but fruits were not nearly ripe enough to have seeds as yet. Hopefully, I will have more luck with the single plant that we brought back. Much more widespread was the glossy, green-leafed Fatsia polycarpa. 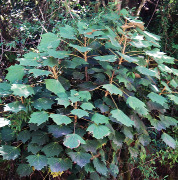 This relative of the popular Japanese fatsia, like Sinopanax, is endemic to the island of Taiwan and cannot be found anywhere else. Plants changed appearance depending on location, looking very similar to the Japanese species at the northern end of Taiwan, but becoming much more deeply lobed in the middle of the island. Since it is generally found growing from 6,000' to 8,000', it should prove to be hardy at least through central North Carolina. It is found in shady, moist locations in all types of soils. Several jagged foliaged forms were especially striking with leaves over 12" across. Like several other members of this family, the Taiwanese fatsia is a fall/winter bloomer and consequently was seedless during both my visits. Several plants from 2008 are growing well at the Arboretum and appear so far to be much faster growing than Fatsia japonica with continual flushes of growth. One of my favorite genera of evergreen plants is the glossy-leaved, underutilized Dendropanax. This genus is usually represented in the West, when it can be found at all, by D. trifidus which can be found in southern Taiwan as well as Japan. More widespread in Taiwan, but rarer in the West is Dendropanax dentiger. 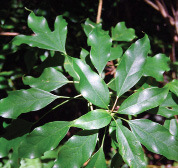 The young foliage on this plant is very narrowly three-lobed, eventually maturing to entire leaves with long petioles. The flowers and fruit are reminiscent of English ivy (another aralia family member) and was found in seed during my most recent trip much to my joy (at writing time, all of my Taiwan seed was stuck in the bureaucracy between Customs, USDA, and FedEx so my joy was somewhat muted now). A particularly narrow form that I saw on several occasions in 2008 was found again and cuttings from this plant are rooting in the greenhouse now. Along with Sinopanax, a prime target for my trip was the high elevation tree, Schefflera taiwaniana. 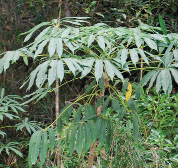 This genus is probably best known as the tropical houseplant often called umbrella tree. While the typical houseplant species are found at low elevations (we've planted two forms from ~5,000' in the Arb., but doubt they will still be alive come spring) the mountain-loving S. taiwaniana doesn't appear below about 6,000' and continues up to 9,000'. We have one sad-looking specimen from the 2008 trip that is surviving in the greenhouse. Several more plants were collected along with a boatload of ripe seed from a single tree at 8,900' on this most recent trip. If the plants turn out to be heat tolerant, they should perform well throughout much of the mid-Atlantic. The relatively small, palmately compound leaves present a fine tropical texture despite their alpine abode. Long spiky racemes made up of umbels of creamy white flowers give way to long wands of purple-black fruit in fall. This is a striking plant in leaf and fruit. All of these Araliaceous plants will need some evaluation to determine their garden worthiness, but some or all will, we hope, add to the wide palette of plants already available to North Carolina gardeners. As we propagate them and build numbers, look for them to appear at our plant giveaways and to be distributed to the nursery industry. I recently had the opportunity to read Bobby J. 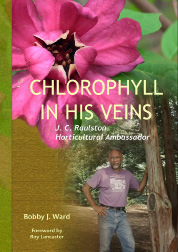 Ward's new biography of J. C. Raulston, Chlorophyll in His Veins. This informative and very readable book made me deeply regret that I never had the opportunity to meet J. C. Raulston, Ph.D. He came to NC State University the year I left to work in Colombia and he died a few months before I returned from a sabbatical leave. Nevertheless, I knew of J. C. from my interactions with other horticulturists around the world who would speak of him with respect and fondness. J. C.'s remarkable knowledge and love of plants, and his incredible ability to enthuse others with his passion, made him an inspirational teacher during his life and a legend after his untimely death. Perhaps, as Bobby Ward's book title suggests, J. C. did have a touch of chlorophyll in his veins. That thought started me thinking about evolution and what it would have been like if humans had evolved to produce chlorophyll, or conversely, if plants made blood! Interestingly, the biosynthesis of chlorophyll and hemoglobin molecules both start with a poryphrin ring that is structurally very similar. However, aside from this interesting similarity, the two pigments are very different. Chlorophyll's porphyrin ring (see below) has a magnesium atom in its center, while hemoglobin's ring has an iron atom in its center. However, aside from this similarity, these two pigments are very different. Chlorophyll is found in high concentrations in the chloroplasts of plant cells. (They are also present in algae and cyanobacteria—also known as blue-green algae). Chlorophyll molecules absorb the blue and red wavelengths of sunlight and use this energy to synthesize sugars from carbon dioxide and water, with oxygen produced as a byproduct. The narrower green spectrum of sunlight is not absorbed by chlorophyll, thus making plants appear green. Hemoglobin is a heme-containing pigment protein found in blood that carries oxygen from the lungs to the body's tissues and returns carbon dioxide from the tissues to the lungs. When oxygenated, hemoglobin is red; when deoxygenated, it is purple-blue. Plants do produce forms of hemoglobin. The most visible form is symbiotic hemoglobin found in the pinkish pigment on the root nodules of soybeans, peanuts, and other plants in the legume (Fabaceae) family. These nodules are able to fix atmospheric nitrogen through a symbiotic relationship with Rhizobium bacteria (see box). Symbiotic hemoglobin is also present in the nodules activated by Frankia actinomycete fungi on the roots of some Casuarina, Elaeagnus, and Myrica species. Besides symbiotic hemoglobin, scientists have also identified genes for nonsymbiotic hemoglobin in a wide number of monocots and dicots, as well as in fungi, protists, and bacteria! The function of nonsymbiotic hemoglobin in plants is not well understood, but some scientists think it may serve as an oxygen carrier in root cells and may also play a role in stress tolerance. All living organisms use nitrogen to manufacture amino acids, proteins, nucleic acids, and other nitrogen-containing components necessary for life. Nitrogen gas (N2) makes up approximately 80 percent of our atmosphere. Unfortunately, N2 is unusable by most living organisms. Biological nitrogen fixation is a process that converts atmospheric nitrogen (N2) to ammonia (NH3) using an enzyme called nitrogenase that is produced by Rhizobia bacteria in a symbiotic relationship with the roots of leguminous plants. Although these bacteria live within the soil, they cannot fix atmospheric nitrogen until they have established the symbiotic relationship with the plant and formed nodules, as the nitrogenase enzyme functions best when oxygen is scare. In the nodule, the plant produces a shield of hemoglobin that captures oxygen before it can interfere with the nitrogen-fixing process. Biological nitrogen fixation by legumes can be in the range of 25–75 pounds of nitrogen per acre per year in a natural ecosystem and several hundred pounds in a managed agricultural system. Genetic sequencing studies have shown that although plant and animal hemoglobin differ significantly, as much as 85 percent, they have a common genetic ancestor that originated in the primordial ooze at the beginning of life, and this ancestor eventually gave rise to both the animal and plant kingdoms. It is thought that hemoglobin evolved to help protect these ancestral cells from the rising levels of oxygen in the atmosphere, which was toxic to early life, but that once these cells began to use oxygen in their respiratory process, hemoglobin may have helped to scavenge oxygen for respiration. With the remarkable advances in molecular biology, research is underway to see whether plants can be genetically engineered to fix atmospheric nitrogen, perhaps by activating their nonsymbiotic hemoglobin genes to interact synergistically with rhizobia or other nitrogen-fixing symbiotic organisms. If corn could be engineered to fix half of the nitrogen it needs, the global economic and environmental impact would be enormous! In the United States alone, over 85 million acres of corn are planted annually. Nitrogen fertilizer applications would be significantly reduced, along with the energy and fossil fuels needed to produce and transport them. Nitrogen runoff in rivers, along with the large hypoxic zones in the Gulf of Mexico and other marine areas, would decrease dramatically. Another potential impact of genetic engineering is the transformation of plants to produce human hemoglobin components. Some promising results have been obtained from tobacco plants genetically modified with human genes to produce blood proteins and other blood clotting agents. The products from these bioengineered plants may eventually lead to safer and less expensive treatments for hemophiliacs and alternative ways of sealing wounds. I, however, dream about being green. I want chlorophyll. On the planet Theroc, in Kevin Anderson's series of books, The Saga of the Seven Suns, the Green Priests have the capacity to photosynthesize and communicate with the Verdani Worldforest. Just imagine what our world would be like if humans had evolved to produce chlorophyll, as well as hemoglobin, and we could synthesize nutrients from sunlight! Perhaps J. C. Raulston did have a hint of chlorophyll in his veins and was only a mutation or two away from being a true Green Priest! Many people who knew J. C. would concur with this. Arredondo-Peter, R., Mark S. Hargrove, Jose F. Moran, Gautam Sarah, and Robert V. Klucas. 1998. Plant hemoglobins. Plant Physiology 118:1121-1125. Following the formal meeting of the Magnolia Society, twelve of us started off on the post-conference tour. We left our hotel in Portland on Monday morning, June 1, 2009, to visit gardens and natural areas to the south. J. C. Raulston made several trips to our first destination, Gossler Farms Nursery in Springfield, Oregon, from the late 1970s until 1994. This visit gave me the chance to reconnect the Arboretum with the Gossler family, as well as see what J. C. had seen in his visits. Marj Gossler and her two sons Roger and Eric man the nursery. They do all the growing and shipping at this extraordinary specialty nursery, as well as maintain a spectacular garden. Garden pathways meandered through lush, often extremely disproportionately large specimens of both rare and common plants. (Everything seemed to grow larger in western Oregon.) One specimen of Osmunda regalis, which would likely top out at 3'–4' here in North Carolina, reached for the stars, still unfurling its fronds at over 6' tall. Two species of a plant we only dream of growing here, Gunnera tinctoria and Gunnera manicata, grew to over 7' tall. The gigantic, rhubarb-like, prickly, rigid leaves held atop equally prickly petioles shaded clumps of orange-, yellow-, and pink-flowered candelabra type Primula, various large Hosta, flowering Rodgersia, and Acorus calamus 'Variegatus'. Equally large bronze bottlebrush-like inflorescence shot up from the base of the Gunnera plants. Mature specimens of Magnolia and Stewartia shaded other beds. Rhododendrons of all sizes grew beneath the canopy, some still in flower with individual blossoms 4" across. 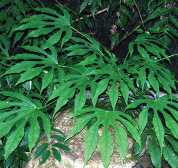 Species with leaves over a foot long and a third as wide were also happily growing in the shade. Just as full of spectacular plants, the nursery, consisting of about twelve greenhouses, sheltered a wide selection of mostly woody plants, many only to be drooled over as they would not survive our endlessly hot, humid summer weather here in the Southeast. In this group of intolerant plants were many of the rhododendrons, Embothrium, and Eucryphia, to name only a few. Despite this, I found a few plants to bring back, including a variegated styrax called Styrax japonicas 'Frosted Emerald', with leaves more white than green and a legume from Morocco, Cytisus battandieri, called pineapple broom. After a boxed lunch at the nursery, Roger Gossler guided us to some other gardens in the area. A short stop at an adjacent park with a collection of magnolias gave us some time to "cleanse our plant pallet" before driving to Bryan and Cassandra Barrett's garden in Dexter, Oregon. The Barretts do design consultations and installation and maintenance, as well as develop their own property. Despite only working on their garden for ten years, the couple has been able to construct an extraordinary garden on about four acres that has plants from all over the western United States and from around the world. In the front (east side) of their house, a bright cottage garden burst with shades of lavender and blue, highlighted with spots of yellow and gold. In this area, pastel purples and blues of Siberian iris, fluffy pink Thalictrum, and cool blue Corydalis flexuosa flowered among the varied textures and colors of dwarf conifers; the glowing foliage of Daphne ×burkwoodii 'Briggs Moonlight'; and the erect, speckled, arrowhead-shaped leaves of Zantedeschia added to the variety of foliage. Rounding the corner to the south side of the house, the garden transitioned into rock garden conditions. New Zealand species of Carex and the juniper-looking Hebe ochracea covered with small white flowers accentuated dwarf pines and spruces. A covering of Dryas, Genistia, Dianthus, and Astragula grew between the diminutive trees and shrubs only to be broken up by protruding stones and clumps of shockingly deep pink and stark white Rhodohypoxis peeking out from under the low bows of the pines. Around other stones grew the native Sedum spathulifolium, Helianthemum, and Armeria, just to name a few. Continuing around the back of the house was a scree/sand garden. All sorts of diminutive alpines and xeric plants grew on these low mounds, with large rocks scattered throughout. Many of the plants growing here would not take our moist heat, but were happily growing here in the dry summered west. One of these alpines was Arenaria alfacarensis. This tiny silver dianthus relative grew less than 0.5" tall and only about 6" wide, but the miniscule cushion was solid enough that it might hold an elephant. Adorable! This was just a fraction of their garden. A few additional highlights of this full garden: a bank covered in Fabiana, Lavandula, Santalina, Erica, and Calluna vulgaris; a collection of trees and shrubs including Abies procera, Corylus avellana 'Red Majestic' (so red it makes ours seem like it got bleached with the whites in the laundry), and Gaultheria mucronata; a meadow garden in full flower with Lupinus; and a perennial border with rocketing golden spikes of Asphodeline, peachy Papaver orientale, cotton candy-like Thalictrum, and Rheum palmatum mixed with colorful foliaged shrubs. Still more garden across the street from the house edged a flowing stream. After a few hours at Bryan and Cassandra's garden, Roger led us to Hendricks Park in Eugene, Oregon. This city park, over 100 years old, has a mature picturesque canopy of Quercus garryana and Pseudotsuga menziesii. Under this canopy grows a large collection of rhododendrons, small trees, shrubs, and perennials. The many species and cultivars of Rhododendron were the real show with their bell-like flowers in colors of orangey cinnamon red, pastel yellows, peach, lavender, red, and white. Other woodland plants highlighted the forest floor, covering it with color and texture. Candelabra-type Primula and Astrantia were planted along the winding paths that formed a network along the hillside. Polystichum munitum grew in lush drifts under the trees as well. In an open area where a small stream ran, Zantedeschia aethiopica, Gunnera, and Equisetum grew. Nearby, a large Styrax japonicus flowered a month after ours here in North Carolina had finished. Roger guided us to our hotel, and there we parted before dinner. We drove just west of Eugene, Oregon, to Northwest Garden Nursery. This small nursery specializing in Helleborus was equally as splendid as the Barrett's garden the day before. The owners, Ernie and Marietta O'Byrne, have collected many plants since starting their garden in the late 1970s. Some J. C. had given them on his visits over the years, including a dwarf loblolly pine like those we have throughout the JCRA. When we arrived, though, the Helleborus blossoms were long gone, there was so much more to be seen. The cloudy morning brought out the colors of all the foliage and flowers in the gardens. Of particular interest was their woodland garden. Podophyllum species and hybrids, along with Arisaema species, poked up among the diverse collection of ferns, Oxalis, Corydalis, Epimedium, and countless other plants covering the ground. A plant of particular breeding interest to Marietta, Podophyllum, mutates with each new cross that she makes with these Berberis relatives. Marietta crosses the Asian species, adding size, color, patterns, and vigor to species once challenging to grow. In another corner of the gardens, sky blue flowers of Meconopsis grandis, hailing from the Himalayas, looked down over a clump of tubular scarlet-flowered Ourisia coccinea from the Andes that tempted the hummingbirds to come and sip nectar. A few steps away, another one of J. C.'s gifts, Enkianthus campanulatus f. albiflorus, dripped with white bell-like blossoms. The garden opened into a sunny mixed border where variegated Phormium tenax, burgundy-colored Astrantia, and soft blue Corydalis intermingled with the cinnamon trunk of Acer griseum and the arching branches, burgundy foliage, and antique white cluster of flowers of Physocarpus opulifolius 'Seward'. Around Ernie and Marietta's house, a stone paver patio was surrounded by rock gardens. Sedum, Sempervivum, Dianthus, Geranium, Helianthemum, Phlox, Gysophila, Armeria, and countless others gems grew amongst dwarf conifers. On the pavers sat shallow pots packed full of white, light pink, and deep magenta Rhodohypoxis. Behind the greenhouse, in the sunniest area, prospered a dry garden. Growing in the gravel-covered ground, native Penstemon, Eriophyllum lanatum, and Eriogonum mingled with Eschscholzia, Agave parryi, Alstroemeria, and Lysimachia atropurpurea. Creeping over rocks along the edge of the beds, Tropaeolum polyphyllum, a perennial nasturtium, softened the stone with silvery green, palmately compound leaves with golden yellow blossoms bursting from between leaves along snaking stems. The focus of the rest of the tour after leaving Northwest Garden Nursery were natural areas along the West Coast to the high deserts of central Oregon. We drove south and then west from Eugene, cutting through the lush Oregon Coast Range. We reached the coast just after noon and traveled south along the Pacific Coast Highway. Viewed through fog, the glimpses of sand dunes edged in tall conifers and expanses of salt marshes were not at all what I had expected to see. The views changed as we traveled down the coast. Expanses of forest opened to rocky cliffs overlooking the largest expanse of water on Earth. After a few more hours of travel, we reached Bandon, Oregon, where we would stay the night. Before going to our hotel, a visit to the beach was in order. The weather was not at all conducive to swimming due to foggy, misty, cool weather; but was perfect for botanizing along the cliff and exploring tidal pools and caves in the rock formations at Face Rock State Scenic Viewpoint. In the distance, Ulex europaeus (gorse) covered the cliff, showing how fragile the ecosystem is and how invasive plants can take over. (Later on, at the hotel, one of the workers remarked how beautiful the gorse was, not realizing that it was a destructive weed.) At the viewpoint, Lupinus littoralis, Trifolium wormskioldii, and Fragaria chiloensis covered the sandy ground near the parking lot. Walking down stairs along the cliff, a pale blue Iris douglasiana grew with grasses and Equisetum on the steep slope. Where a damp seep formed at the base of the cliff, large patches of Mimulus guttatus stood with their "feet" in the moist soil, and their sunny yellow monkey-faced flowers held above bronze stems and dark green leaves ready to soak in the sun when the fog cleared. On seemingly bare rock along the cliffs and isolated giant stones that turned into islands during high tide, silver and purple rosettes of Sedum spathulifolium and ice crystal-like Dudleya farinosa hung onto the tiniest crevices in the rock. Below them, where the water reached in high tide, barnacles covered the stone. On other rocks with shaded overhangs, Polypodium scouleri grew alongside the sedum. Where a little more thin soil was present, the yellow umbels of Sanicula arctopoides sprouted in the middle of the clumps of the sedum. With the onset of heavier mist and the fog lowering the light, we drove to our hotel just down the road. Continuing down the coast toward California, we made random stops along the way, with our first being at Battle Rock City Park in Port Orford, Oregon. Climbing up the steep rock with little to hold onto and fearing that I might slide off, hurting myself or at least my camera, I was pleasantly rewarded to find that the monolith was covered in Toxicodendron diversilobum, poison oak. Actually, it was not the only inhabitant of the stone. Covering the top was a wide variety of native wildflowers, trees, and shrubs. On the south side on a near vertical slope, again grew Iris douglasiana, Sedum spathulifolium, and Dudleya farinosa along with Pinus contorta and Maianthemum. On the less vertical areas, adorable lilac-colored Calochortus tolmiei, tufts of pink Armeria maritiana, and spikes of white Zigadenus fremontii grew among the short grass and Toxicodendron diversilobum. In more protected spots, a tall species of Lupinus and Scrophularia oregana grew along with the ever present Gaultheria shallon and Pinus contorta. A very worthwhile stop! Continuing south, we paused at a few random places to explore the flora along the highway. In one place, we found a bright orange-red Castilleja miniata growing with Linum lewisii, Heracleum maximum, Gilia capitata, and, of course, Sedum spathulifolium. Our next stop was for gas. You might think that was rather boring, but for me it was interesting. Across from the gas station, a large clump of Pelargonium ×domesticum with red-blotched, deep pink flowers caught my eye. The plant had clearly been there for years, growing outside. This was of particular interest to me because I worked for a Pelargonium (geranium) breeder at Pennsylvania State University before moving to North Carolina; seeing them outside as a perennial was a new experience. Next to it, a Pelargonium capitatum covered itself in lilac blossoms. Our last destination along the Oregon coast took us to Harris Beach State Park near Brookings, Oregon. Upon arriving, thinking we would only be here a few minutes, I made a mad dash up the hill to a trail weaving its way down the cliff to the water's edge. Before getting to the trail, I observed a bank covered in Lonicera involucrata, a western species of honeysuckle with small yellow flowers with reddish bracts around the paired buds and blossoms. At the trail head, Rhododendron occidentale with large flowers of cream and peachy pink brushed with gold on the top petal stood in full sun protected from the wind by only some low scrubby Salix and Rubus. Starting down the trail, I encountered large shrubs of the native, fluffy, sky blue Ceanothus thrysiflorus, another of those plants I wish we could get to grow here. A little further down, a ledge dripped with native grasses, Dudleya farinosa, purple Lupinus, Gaultheria shallon, and Castilleja miniata. Looking down, I spied a Mahonia seemingly sprouting from the base of a rock. Rounding a curve in the path between large rocks, I came upon a small, eye-level crevice erupting with a clump of pale purple-flowered Erigeron glaucus and dark green Polypodium scouleri. At the bottom of the cliff, a patch of Iris douglasiana greeted me. Backtracking up to an alternate path, I discovered a yellow-flowering composite with glossy, silver dollar size and shape, scalloped-edged leaves growing out of a crack in the rock so tight a sheet of paper could not fit in it. Just above it, clumps of Sedum spathulifolium and Polypodium scouleri grew from an unseen crack. Finally making it to the edge of the beach, I found an orangey-yellow flowered Mimulus aurantiacus growing in the grass just above the high tide line. Having trekked down the cliff, I returned to the parking lot to find that the others were still all out exploring. This gave me the time to observe some of the wildlife on the beach. Flocks of seagulls did not impress me, but the American black oystercatchers caught my eye. The stout, dark brown to black birds with red eyes and beaks stood on one leg with their faces into the wind. Cool little bird! After everyone gathered, we started south again. Just before entering California, a quick stop gave us a moment to pay homage to the second largest Cupressus macrocarpa (Monterey cypress) in the United States. Back on the road and off to see the redwoods in northwestern California. On entering California, we found "Happy Cows" grazing in pastures with ocean front views. Just a little further, fields of Lilium longiflorum (Easter lilies) grew in the largest production area of the country. Not much more than 10 miles into California, we said good-bye to the Pacific Ocean and turned inland to the Jedediah Smith State Park. The terrain changed quickly into tight valleys cut by the Smith River. Enormous conifers covered the steep hillsides above the sharp rock-edged river. Crossing to the south side, we quickly entered under the dark canopy of one of the largest tree species alive today, Sequoia sempervirens, the coast redwood. We hopped out of the van to observe the creeping rhizome of the Epimedium cousin, Vancouveria hexanda, with its airy, fern-like foliage and loose spikes of white, downturned flowers with upturned petals covering the ground at the foot of a small Sequoia. A few feet away, the trifoliate, silver-blotched leaves of Oxalis oregana partially hid their bashful white, pink-veined flowers. Across the dirt road that served as a trail, the flamboyant magenta blossoms of Clintonia andrewsiana looked like an explosion of fireworks over the rosette of glossy green leaves. After these first few distractions, my head craned up to look at the surrounding 100'+ poles, fringed in green feathers toward the top half. Lots of ferns—Adiantum aleuticum, Blechnum spicant, and Athyrium filix-femina—formed a carpet on the bank below flowering Rhododendron macrophyllum that grew under the cathedral-like canopy of the coast redwood. Walking down a winding side trail, I only realized how large the tree trunks were after having Pat McCracken stand next to one to act as a reference for perspective. The forest floor under the giants appeared covered in a lawn made up of 4' tall Polystichum munitum. A broad, sprawling, contorted Acer circinatum twisted its branches to catch the crumbs of light that the forest giants dropped through their finger-like branches hundreds of feet above. The nearly horizontal branches of the maple appeared to be covered in yellowy green icicles made of lichen and moss. Coming to a clearing near the river edge, I saw a colony of Alnus leaning out to capture the light. Between their silver-gray trunks, the same Lonicera involucrata with its orange flowers and reddish bracts that I had seen earlier in the morning on the coast sprawled on the ground. Turning back toward the trail, we encountered the largest of the Sequoia. The diameter of the trunk surely would have measured 15'–20'. Standing next to the trunk was one of the few places I had my photograph taken, and it made me look 6" tall. Walking back through the cathedral forest, I noticed other species of trees blending into the canopy. Tsuga heterophylla, Lithocarpus densiflorus, Chamaecyparis lawsoniana, and Umbellularia californiaca all hid among the giants. Shrubs like Mahonia pinnata, Vaccinium ovatum, and Rosa gymnocarpa all made their homes in this shade. After a few hours in the forest, our group reunited. Fortunately, the van in which I rode, which had been following and not leading, left first. The other van was some distance behind us so we were traveling slowly out from the forest canopy. Not a mile from where we had been parked, I saw a patch of Cypripedium californicum with inch-wide, yellow and white flowers along the 3' tall spikes growing in the ditch between the road and a steep slope. I yelled to have the van stop. Had we been going our normal pace with the other van in the lead, we would have missed this opportunity. In this very rich sliver of boggy serpentine, we noticed deep blue-purple flowers of Triteletia bridgesii standing above their withering foliage. On nearly bare, wet, loose gravel, the insectivore Pinguicula macroceras grew in small colonies, a few even with their purple, violet-like flowers perched on naked stems above the sticky rosette of leaves. Further up the slope, Aquilegia formosa flowered, dangling red and yellow spurred blossoms. Beside a large rock, a peach-colored Castilleja leaned over to make itself visible. In the ditch below, the plant we intended to see at our next destination, Darlingtonia californica, grew in a seep surrounded by the foliage of Iris, Adiantum aleuticum, more Aquilegia formosa, and Lilium just in bud. Across the road, on a bank above the river, a Holodiscus discolor, which looked to have been given a haircut by the California Department of Transportation a few months before, flowered its head off with Astilbe-like inflorescences. Next to it, the California state flower, Eschscholzia californica, held blossoms of gold and orange over the finely-cut blue-green foliage. Back in the van, we traveled in our usual manner of second van through the Siskiyou Mountains of northwestern California back into southern Oregon to the dot on the map called O'Brien. On getting there, we took a brief stop at the only store in town to get snacks and to use the restrooms guarded by a 6' sculpture of a fly mounted on the roof. We turned back onto a well-worn paved road that slowly degraded to dirt. Just a few miles in, we started seeing lots of stone washed down from the mountains. This area, known for its serpentine rock formations, grew a collection of flora that grows in few other places. Some were boggy, but a few feet away might be well-drained mineral soil. Of course, it decided to rain while we botanized around an area adapted more to drought, receiving maybe 20" a year. Arctostaphylos viscida, beautiful shrubs with blue-green, mature foliage and orange flushed new growth, as well as unripe, white berries turning to red, grew scattered throughout the dry areas. In the boggy spots, Rhododendron occidentalis took up residency along with some specimens of Ledum glandulosum. Higher up on the slopes Calocedrus decurrens, Psuedotsuga menziesii, and Pinus species grew into an open forest. Along the road and other open areas, the herbaceous plants filled the gap. In open pine grove conditions, swaths of white-flowered Triteletia hyacinthina grew. On the often eroded soils on the banks, the pink-flowered Silene hookeri and a species of Phlox took up residence with countless Asteraceae species. A small, deep blue-flowered Penstemon grew out of the tangle of sprawling Calystegia atriplicifolia. In rocky soils, deep rose-colored umbels of Allium falicifolium poked up out of the soil in small clusters of two to three plants. In the boggy soils, an entirely different array of herbs grew. The reason for our trip here was to see the rare Darlingtonia californicum, which we had already encountered in California. Here though, we saw them in larger swaths. Many of these Sarracenia relatives (our Eastern native pitcher plants) flowered with chartreuse and burgundy inflated-type flowers held on a tall leafless stalk. Helenium, Rudbeckia glaucescens, Juncus, a bog species of Castilleja, Sisyrinchium, and even an unidentified orchid cohabitated with these insectivores in their soggy abode. In another spot along the road, clumps of the sun fern Aspidotis densa sprang up from between the rocks. With white blossoms and blue-green foliage, Dicentra formosa ssp. oregona surprised me by growing in the wide open in the course rocky soil, not like its cousins, which prefer shade and moister soils. We got the crew all together and started to our evening rest stop in beautiful and dry Ashland, Oregon. We started off to our next destination, Crater Lake, but a surprise stop awaited us en route, the Rogue River Gorge. The snow had only melted a few weeks before and most of the flora was not yet quite awake, but the gorge, swollen with melt water, ran swift and white. A few trees and wildflowers managed to show their colors, though. This was the only place I was able to get a photograph of Cornus nuttallii. They flowered throughout the forest along the roads, but managed to elude my camera at every other stop we made. In the gorge just above the rushing water, a budded Sorbus leaned into the mist from the torrent. A little further down, an Amelanchier flowered across from a long-cooled lava tube. Along the path beside the gorge grew a botanical novelty, the needleless stump of a Pseudotsuga menziesii cut down over 50 years before. It found nourishment from the roots of the neighboring trees by roots grafted together. Near the parking lot, a few small ephemerals flowered. The slender, pale yellow petals of Iris chrysophylla and the pristine white sepals of Anemone deltoidea pushed up through the pine needle duff. Nearby, a very low evergreen ground cover of Ceanothus prostratus was dusted with powdery blue inflorescence. We stayed only a short time before heading up the road to Crater Lake National Park. The more we drove, the more snow covered the ground. On approaching the top, there was uncertainty about whether the crater would be visible due to dense fog. As we reached the top, though, Wizard Island stood clearly visible, surrounded by the cobalt blue lake surface. The wall of the crater, still white with several feet of snow, reflected light onto the water and the low hanging bank of fog that hovered over the mountain. Within only a few minutes, the crater disappeared under the fog, but lifted again during lunch. Spectacular is not a descriptive enough word to say how the lake and crater looked. After many more photographs at the Rim Visitor Center view site, we started off along the West Rim Drive, which opened early this year due to relatively little snowfall. Stopping for photographs at Discovery Point and Watchman Overlook gave us additional views of the lake. At Watchman Point, looking over the protective fencing, I saw the fuzzy white Anemone occidentalis flowered despite strong wind and a bank of snow only a few feet away. Leaving Crater Lake behind, we headed north and east toward Bend, Oregon. With the snow-covered mountains of the Cascade Range now to our west, we entered drier regions. We passed great expanses of arid pine forest edged in Purshia tridentate while driving north on U.S. Route 97. Evidence of the volcanic origins of the region became more evident as we traveled north through the Newberry National Volcanic Monument. After reaching Bend, we turned southeast onto U.S. Route 20, which took us out into the high desert. Juniperus occidentalis and Artemisia tridenata abounded at first, but as we continued on, the Juniperus disappeared. Turning north again, we started on a scenic ride on Oregon Route 27. Route 27 cuts across an area of open range, giving home to a great diversity of topography and flora. The first stop allowed us to see some of the flora growing among the Artemisia tridentata that covered a great expanse of rather flat terrain. Tiny tufts of pink- to white-flowered Phlox hoodii grew scattered about. Low mats of Erigeron with pink-backed, creamy-white petals over low silvery foliage sprang up beside clumps of grass. Here and there mounds of Eriogonum with buds just opening hinted of the soft yellows and deep oranges to come. Flat to the ground, two species of Astragalus, one with silver-green leaves and small spires of cream flowers and a second with fuzzy, silver-haired leaves and small purple flowers inched across the patches of bare ground. Driving only a short distance, we entered an area mixed with Juniperus along a small valley. Between rocks along the road grew a tiny Mimulus nanus with flashy hot-pink flowers held over low-growing leaves. Just above it by a boulder, a tall purple Lupinus grew with its parasol-like leaves. Various DYCs (Darn Yellow Composites) and a tall-growing cream-colored Astragalus sprawled through dead brush and sparse clumps of grass. Moving on, we came to the Prineville Reservoir on the Crooked River. On top of a crumbling bank, a deep blue, small-flowered Penstemon grew with tufts of pale lavender Erigeron nearby. A taller, thin-leaved Erigeron, also with pale lavender blossoms, flowered lower on the bank. As we crossed the reservoir dam, a view of the eroded Crooked River Gorge opened up. Layer upon layer of millions-of-years-old lava flows became clearly visible on the sides of the surrounding cliffs. In areas where cooling took hundreds of years, 10'–15' vertical crystals of lava formed, breaking up the horizontal layers. The cliffs held only sparse vegetation, but along the river and at the base of the cliffs where soil and water were present, Juniperus, Artemisia tridentata, and many other herbaceous plants took up residence. In one place on the road's edge, a colony of Penstemon speciosus with gorgeous deep blue spikes of flowers prospered in the well-drained soil. Between rocks along a small winding path going up a hill side, 2' tall loose clumps of Dalea ornata flowered, displaying their flowers in clover-like inflorescences. Further down the gorge growing on a dry bank with Artemisia tridentata, a striking red Castilleja pallida var. lapponica glowed in the early evening light. On a broad turn in the road, a population of the shrubby lavender blue-flowered Salvia dorrii chose a spot to grow, looking out over the gorge. A few miles down the road, the gorge opened into lush watered fields of hay and pasture. Local mule deer were coming out of the desert for their evening meal in the fields of grass. Leaving the Crooked River behind, we drove west and south with the snow-covered mountains in the distance and stayed in Bend. We left early for the long ride back to Portland. Driving north following the Deschutes River, we saw the plants and topography continued to change. The sharply angular topography transitioned to more softly eroded edges, but still the white-capped Cascade Mountains were visible to the west, partially enshrouded in clouds. Juniperus and Artemisia scattered across the landscape, with dots of yellow-flowered Eriogonum and brown grass spaced out between. On a quick rest stop, we discovered rosettes of Crepis acuminata topped in clusters of deep butter-yellow dandelion-like blossoms, surrounded by parched brown grass. Under the thin shade of Artemisia, clusters of the white-flowered Eremogane franklinii and near-sulfur-colored Eriogonum were being visited by thicket hairstreak (Callophrys spinetorum). Driving on and crossing the Deschutes River, we stopped along the roadside again. A collection of flowering weeds: both light yellow and creamy white-flowered forms of Eriogonum; a small, white daisy called Blepharipapus scaber; prostrate Calystegia atriplicifolia; a silver-leafed, purple-flowered Lupinus; and then a patch of soft yellow Lagophylla ramosissima flowered between the road and a field full of onlooking llamas. Further north, the first areas of open grassy hillsides with large oaks lining the tight valleys appeared. This was the transition back to moister environments. Fields of wheat and orchards of fruit trees became evident as we drove closer to the Columbia River. On reaching the Columbia River, we turned west, still seeing the sunny xeric climate that surrounded us, but also taking note of the dark clouds and strong winds that came up the river gorge. Driving down the river, the scenery became greener and rainier. Following the river, we came back to where we had been a week before, Multnomah Falls. The Friday before, time was too short to climb to the top, but not this visit. I raced up the zigzag path that climbed the side of the cliff. Not being one who likes heights, I hugged the inside of the path, taking my mind off the situation by photographing the flora along the way. High on a rock ledge grew a deep blue Delphinium along with the ubiquitous Sedum spathulifolium. In a shadier spot, the tall flower stalks of a Heuchera leaned out from the overlapping fronds of Polypodium. Further on, the inside-out flowers of Vancouveria hexandra sprang up through their lacy foliage. In one open area, Cryptogramma acrostichoides grew nestled beside moss-covered rocks. Around another corner, Aquilegia formosa leaned over the path, asking for attention from the passersby. Near the top of the falls, patches of pink-flowered Dicentra formosa peaked up out of the brush. On reaching the falls, I pulled myself to the edge of the observation platform to take a photograph over the edge, looking down and out from the top of the 620' cataract. Looking to the other side of the falls, I saw a clump of red Castilleja, along with countless other smaller wildflowers. After only being at the top a few minutes, I turned around to head back down the path, backtracking past many of the plants I had seen on the way up and spotting a few new ones. In one place, a clump of Aruncus dioicus began to open its Astilbe-like flowers. Nearing the bottom, I found a Pentagramma trianglaris growing up on the rock face. I made it back down the trail just in time to meet everybody for the ride back to Portland. I had been the only one to venture to the top. This ended the tour of western Oregon. Five days and hundreds of miles only scratched the surface of this horticultural and naturally floristically rich region. If given the opportunity I would visit again and I encourage everybody to explore as well. Big changes are taking root at the JC Raulston Arboretum, and several major gifts have been received to support these efforts. In 2005, the Arboretum's Master Plan committee of volunteer design professionals put out a call for design ideas and received more than 1,000 responses from staff, friends, volunteers, and visitors. Volunteers cataloged the survey results into categories from which the committee developed the program analyses, needs assessments, and the plan itself. The Arboretum's Board of Advisers voted unanimously to approve the Master Plan in April 2008. Since then, several projects have been completed, including the Fantasy Sweep Garden, the central path, the Xeric Garden, and the Asian Valley. A beautiful stone pathway was gifted in memory of Verdie S. Moreland by her family. The new pathway not only adds a serene elegance to this area, but it provides easy access through the Japanese Garden and into the Asian Valley. With gifts from many individuals and proceeds from the Seasonal Celebrations, Open Days Tours, and other fund-raising events, the Japanese Garden—a tranquil haven to escape the everyday hustle and bustle—will soon be completed. Frank Harmon has donated his time to design a state-of-the-art lath (shade) house, and the plans are moving forward thanks to two very generous gifts to support this project—the Charles Taft Larus Estate Trust and Mitzi Hole and Michael Stallings. Preparations are being made for the demolition of the old lath house right now. The JCRA staff, volunteers, and interns are busy removing and relocating plants. Be sure to come out and watch the progress! New areas for the Bedding Plant Trials and Plantsmen's Woods are now in the newly acquired 2.5 acres just behind the holly hedge of the Mixed Border. The Ellipse is now being developed in the old annual trials area; it will be surrounded by perennial and mixed borders. The lawn will serve as a gathering place in the heart of the Arboretum. For more information on the JC Raulston Arboretum Master Plan or to become involved in this initiative, please contact Anne Porter at anne_porter@ncsu.edu or (919) 513-3826. 2010 Gala in the Garden: Gala in Wonderland! It's time to bring out your top hats and tea pots, rabbits and Cheshire cats, pocket watches and Queen of Hearts—and join us for a Gala in Wonderland! Enjoy a magical spring afternoon strolling around the gardens with friends, while perusing dazzling auction items and enjoying gourmet treats. A Raleigh garden party like no other, the Gala is the JC Raulston Arboretum's annual signature fund-raising event. Proceeds directly support the JCRA's daily operations of teaching, research, and public garden displays. The silent auction is always a favorite entertainment of the Gala. Whether guests are bidding on outstanding and unusual plants, resort packages, signed memorabilia and books, concert tickets, or fine handcrafted jewelry—it is guaranteed to be great fun and great competition! If you would like to donate a special item for the auction, please visit our Web site or call or e-mail Anne M. Porter at (919) 513-3826 or anne_porter@ncsu.edu. The Gala is the Arboretum's main fund-raising event of the year, and the proceeds support its daily operations of teaching, research, and public garden displays. Won't you consider supporting the JCRA by becoming a Gala sponsor? It's an excellent way to entertain business guests or could be a special treat for your staff. For sponsorship information, visit https://www.ncsu.edu/jcraulstonarboretum/gala/ or call or e-mail Anne M. Porter at (919) 513-3826 or anne_porter@ncsu.edu. If you wish to host a party to benefit the JCRA, please contact Anne Porter at (919) 513-3826 or Barbara Kennedy at (919) 513-7004. 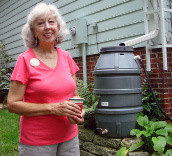 Just a few years ago, Helen Yoest single-handedly revived the Open Days garden tours in our beautiful community, and 22 fantastic local gardens have been displayed and enjoyed by hundreds of garden enthusiasts since September 2006. Helen has moved on to some very exciting projects, such as her very popular blog, but the torch has been passed to Jayme Bednarczyk and Beth Jimenez. What a dynamic duo! A special thanks to Jayme and Beth for taking on this leadership role, and our deepest appreciation to Helen for making our Open Days one of the leading garden tours in the country. We also want to thank our 2009 Garden hosts for another great Open Days. The JCRA shares the proceeds of this event, and we sincerely appreciate our community's support of this special weekend of beautiful gardens. Now get your 2010 calendars and save this date! The Raleigh Open Days tours will be September 18 and 19, 2010. The tour begins at the JC Raulston Arboretum and features many spectacular gardens. For more information regarding the program and to see a schedule of the 2010 Open Days gardens throughout the country, please visit their Web site at http://www.gardenconservancy.org/. Tickets may be purchased for $5 each (or books of 6 for $25) at the JCRA a month prior to the Raleigh tour, the day of the event, or at the individual gardens. This is a wonderful opportunity to see many spectacular private and public gardens throughout the country, while supporting the JCRA. The JCRA is extremely fortunate to have so many talented friends and donors. If you are a "member making news" or know of one, please share it with us. Bobby J. Ward, Ph.D., debuted Chlorophyll In His Veins: J. C. Raulston Horticultural Ambassador at the JC Raulston Arboretum's FOA Lecture on December 2, 2009. Finally, the inspirational story of this century's most important horticulturist can be told. Bobby Ward's well-researched chronological biography weaves J. C.'s life-long diary entries with outside perspectives in detailing J. C.'s lifelong passion for learning about plants, his desire to share with others, and the against-all-odds stories that shaped his life. Even those who knew J. C. for decades will be surprised to learn the 'rest of the story' of the man who shaped so many gardening lives… a truly fascinating read. Still to this day, after so many years passed, hardly a day passes without being reminded of J. C. There will be a plant encountered in the garden that he gave me, or mention of a book or film or something in the kitchen that brings him back briefly, fondly remembered. Though, like many others, I felt I knew J. C. as a friend and mentor while accepting the complex texture of his personality, Bobby Ward's biography on this giant of American horticulture makes me realize, in truth, how little I knew of his life. He has written a highly readable and intimate biography that ensures the legacy of this man will continue unchecked into the future. As we owe J. C. Raulston an enormous debt of gratitude for what he proffered the horticultural community of North America, a certain ration of thanks should also be reserved for Bobby Ward for guiding this project through to a befitting conclusion. Bobby Ward and Roy Dicks are generously donating 40% of the profits of all books sold at the JCRA. Stop by the Arboretum for your signed copy today! Most of you know that the JC Raulston Arboretum operates as a non-profit under the 501(c)3 umbrella of the North Carolina Agricultural Foundation. We are very fortunate to be part of this outstanding foundation that has been around since November 24, 1944. It was incorporated as a means to support agricultural research, extension, and teaching activities in the College of Agriculture and Life Sciences at NC State University. The cost of fund-raising by the NCAF averages about 1.5% annually, well below the national average of 16% for other university foundations. We are very proud to announce that the NCAF has received from Charity Navigator its 3rd consecutive four-star rating for sound fiscal management. For more information about the North Carolina Agricultural Foundation, please visit: http://www.cals.ncsu.edu/advancement/ag_fnd.htm. A Legacy: What Is Left Behind through the Actions of a Lifetime! By subscribing to the Cuttings from the JC Raulston Arboretum mailing list, you will receive Arboretum announcements via e-mail from the staff at the Arboretum. This e-mail list is a great way to stay informed about developments and upcoming events at the Arboretum and is often the only way we can announce late-breaking events. To sign up, update, or to cancel your subscription to the Cuttings from the JC Raulston Arboretum, please visit the Arboretum's Web site at https://www.ncsu.edu/jcraulstonarboretum/. Once there, click on "News" and then "Cuttings from the JC Raulston Arboretum" for subscription information. 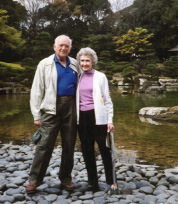 JCRA friends and donors like J. C. Raulston, Isabella Cannon, Harvey Bumgardner, Dale Henderson, Charles Larus, Julia Skinner, Marcia Winslow, Mary and Bill Joslin, Donna Mack, and Bobby Wilder have all left, made, or pledged significant legacy gifts that will benefit the JC Raulston Arboretum in perpetuity. Many other friends have made will bequests—some known and some anonymous, but all very important to the long-term financial stability of the JCRA. Last fall, Sonia Murphy, CALS gift planning director, organized "planned giving house parties" where an existing donor hosted a group of friends at home and shared experiences about creating will bequests, charitable trusts to fund endowments, and much more. During these parties, a recurring theme emerged from each donor's stories—creating and leaving a legacy through their estate plans! If you would like to see what others have done, please visit http://cals.giftlegacy.com/, where real donors talk about what they have done and what it means to them. Sonia is available to answer any gift planning questions. Just call or e-mail her at (919) 513-0637 or sonia_murphy@ncsu.edu. For more information on this or other giving opportunities, please call or e-mail Anne Porter at (919) 513-3826 or anne_porter@ncsu.edu. Or visit http://www.cals.ncsu.edu/advancement/. The JC Raulston Arboretum is pleased to present the 2009 Annual Report, recognizing our donors, supporters, and volunteers. We extend a sincere thank you to all the individuals and organizations that supported the JCRA in 2009. Your support makes possible the continued growth and development of our gardens and educational programs. Plants and gardening nurture the human spirit and enhance our quality of life. We are honored that you have chosen to support this special arboretum as it continues to fulfill its mission of excellence in research, teaching, and outreach. Jim and Betty Deal, Sr.
Michael and Rosemary Andrews, Jr.
William and Dorothy Burns, Jr.
Stephen and Martha Derbyshire, Jr.
Whitney and Linda Hames, Sr.
Dwight and Susan Thomas, Jr.
Special thanks to these generous donors who have made significant contributions to the Master Plant initiative. Heartfelt thanks to these donors who gave special gifts to the Arboretum over and above membership. James and Kathryn Deal, Jr.
James and Carolyn Hunt, Jr.
Ira and Janet Muse, Jr.
C. N. and Linda Wayne, Jr.
Corporate matching gift programs are a great way to optimize individual gifts to the JCRA. We sincerely appreciate the generosity of the corporations that sponsor these programs and the donors who make the initial gift to benefit the Arboretum. These special friends were recognized and remembered in 2009. In Memory of Richard Taylor, Sr.
Support through in-kind gifts is vital to the success of our events, especially the Gala in the Garden. They also provide services and plant materials that keep the Arboretum beautiful for everyone. 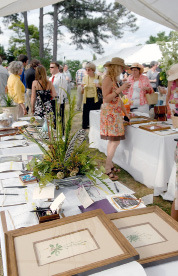 The Gala in the Garden is the Arboretum's signature fund-raising event held each year on the first Sunday in May. Thank you, 2009 Gala in the Garden sponsors, for making this event a huge success. Tom Gilmore & Gilmore Plant and Bulb Co. The gift of service is invaluable to the Arboretum, and we are very appreciative of the many hours our volunteers devote to the Arboretum. Our volunteers share their many talents and their time to make the Arboretum a wonderful place for all to enjoy. We couldn't do it without them. Thanks to all of them. the Arboretum a showpiece in the community. Summer is usually a slower time at the Arboretum, but not this last year. With events like the Garden Conservancy Open Days, the visit of the Garden Writers Association, and the FOA Annual Plant Distribution, volunteers have been actively involved in making these events very special. We've had over 900 people take part in scheduled and Sunday tours, and the comments have been very positive about how beautiful the Arboretum is. Thanks to our many volunteers for making the Arboretum a great place to visit and enjoy. Since the spring, 18 new volunteers signed up to help. We give them a big welcome and thank them for giving their time and energy! We have a new fund-raiser we hope you'll check out in the Bobby G. Wilder Visitor Center. For a $5, you can purchase one of the many gardening/landscaping books that are available. Just drop your payment in the box and take the book you want. All proceeds go towards volunteer activities. 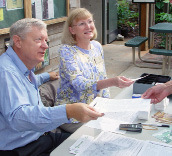 Volunteers Dennis Drehmel and Sandy Reid are busy selling tickets for the Garden Conservancy's Open Days. Volunteers spent many hours making sure plants were properly labeled before being set out in the field. Here they are finishing up before the big day. One of the homes on the Open Days tour was the home of Kathleen and Walt Thompson. Here, Kathleen is ready to welcome visitors into her beautiful garden. Selling apparel at the Annual Plant Distribution was one of the jobs handled by Gail Beasley and Ann Swallow. They appear to be enjoying all the activity. Preparing for the FOA Annual Plant Distribution takes the work of many volunteers. Jean Mitchell and Ilene Holmes are helping label the plants in preparation for the giveaway. The annual Volunteer and Staff Holiday Party was a huge success. Sheila Kellogg and Sandie Zazzara were among the many volunteers, staff, and guests who enjoyed an evening of fine food and friendship.